Identity-as-a-Service for managed service providers (MSPs) is a new idea that’s gaining momentum. MSPs could always purchase web application SSO solutions and implement them for their clients on top of an existing identity management infrastructure, but there hasn’t really been an MSP-focused IDaaS solution until recently. 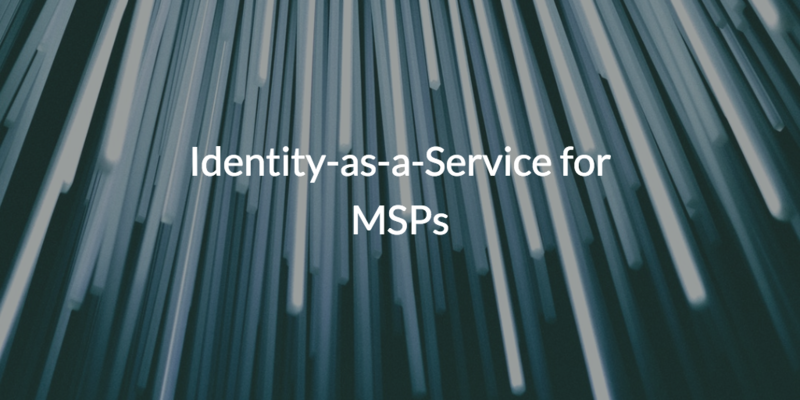 Before we dive into potential Identity-as-a-Service solutions for MSPs though, let’s take a step back to understand why this category is even important in the field of managed services. The resources being used in the modern office have shifted dramatically with the impact of the cloud, and web applications only cover one area of the overall IT infrastructure. If MSPs are to function as the outsourced IT organization for their clients, connecting the client’s end users to ALL the IT resources they need is imperative. Unfortunately, first generation IDaaS platforms are simply web application SSO solutions. They weren’t built to provide central identity control, nor are they capable of doing so. These applications are having a big impact in the modern office by replacing some on-prem hardware and conventional software, but they are far from comprehensive for managing client infrastructure. Make no mistake about it, first generation IDaaS platforms still rely on a core identity provider. Traditionally, this identity provider was the legacy Microsoft®Active Directory®(MAD), as it can federate access to the web application by way of SAML-based authentication via an add-on IDaaS platform. For MSPs especially, however, this is an antiquated approach with many complications and limitations. MSPs often have dozens of clients to manage, each with their own infrastructure needs, applications, and resources to authenticate. If Active Directory remains as the core identity provider, on-prem servers are sure to drag the operational efficiency down with maintenance and manual management. Until recently, MAD was the only option. With 86% of MSPs now offering cloud services, and 62% of SMBs expecting to increase their spending on cloud services, now’s the time for MSPs to take a long, hard look at their identity solution. 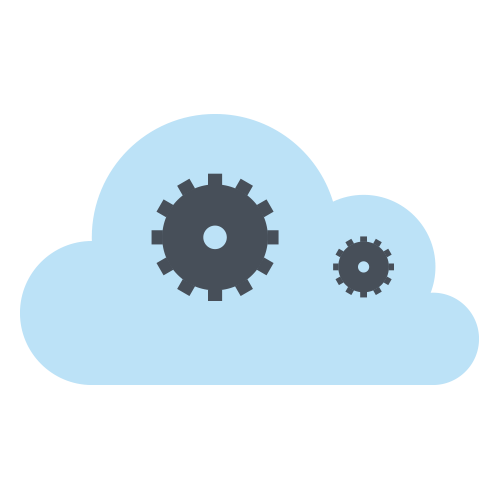 MSPs need the ability to manage and connect users to systems (Windows®, macOS®, Linux®), web and on-prem applications via SAML and LDAP, physical and virtual file servers such as NAS appliances, Google Drive, and Samba file servers, cloud and on-prem servers (e.g. AWS®, GCP, Azure®), and wired and WiFi networks through RADIUS. In short, MSPs need a next generation Identity-as-a-Service that is platform independent, multi-protocol, provider neutral, and location agnostic. Directory-as-a-Service® is providing an easy-to-use, affordable alternative that side steps any reliance on third-party add-ons. 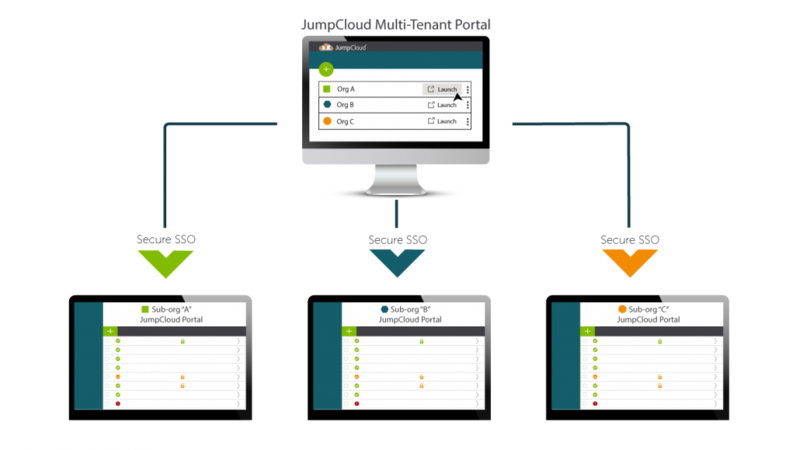 Tens of thousands of organizations are leveraging their user identities with JumpCloud, and for MSPs looking to scale in particular, JumpCloud is providing an IDaaS solution with MSP-focused features, such as multi-tenant management through one pane of glass. 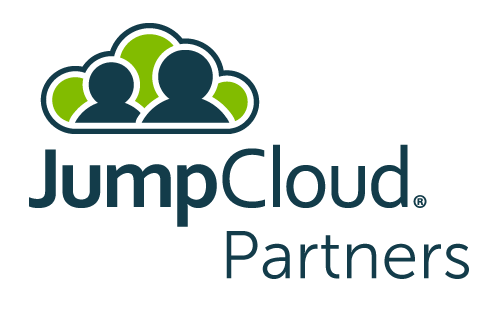 If you want to find out more about JumpCloud’s Identity-as-a-Service for MSPs, check out our Partner Program videos on YouTube. If you’re interested in joining the Partner Program, feel free to apply today and our support team will follow up with details.